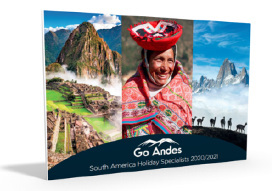 This website is owned and operated by Go Andes Ltd.
We can collect standard internet information and details of visitor behaviour patterns in order to find out things such as the number of unique visitors to the website, and which pages in our site are visited more frequently amongst other things, to help us identify opportunities to improve our website. Some of these cookies are from 3rd party providers, such as Google / Google Analytics. The cookies are anonymous, cannot harm your computer, and if or where you give us personal information (for instance as part of a holiday enquiry) this information is not stored in any cookie.